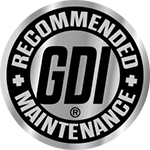 Proud to partner with BG | BG Products, Inc.
My service garage and fleet have been operating and using BG products for the last three years. I was referred to BG after one of its representatives, Jason Allen, stopped into my facility to discuss gasoline direct injected engines. This visit and discussion were timely in that we had picked up our 2014 Chevy Impala from the local Chevy dealership, where they were telling me that there was so much carbon buildup on my vehicle (which only had 20,000 miles), that they were going to have to rip the head off to repair it. Because I have put so much trust and confidence in BG’s products last year I was given the opportunity to visit BG Headquarters in Wichita. The attention to detail and information provided to me by my Sales Representative was truly amazing. In my shop, we treat all of our diesel fuel, gasoline, and oil with BG products. The main issues seem to begin in the winter but have subsided with the use of BG products. However, when we do have to address a drivability issue failure, we can attest to the fact that the system is clean. I can (without fail) say that I am proud to partner with BG Products and its sales representatives.